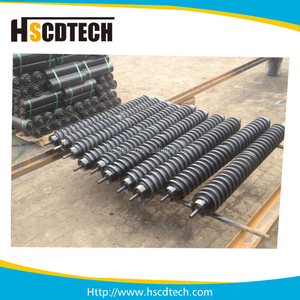 Hangzhou Hengtuo Machinery Technology Co., Ltd.
is a professional manufacturer that engaged in belt conveyor rollers, idler frames/brackets, pulleys, conveyor belts etc components researching and development, designing, production and sales. Our business philosophy is industry leading, professional pursuit, integrity management and steady development. We provide customers personalized and specialized products and services. We HSCD will attend at Jakarta International Mine Expo in Indonesia on 29 to 30 Oct, and wish a meeting with you there. We insist on supplying the best conveyor to fully participate in transportation equipment market building home and abroad as competitive posture. ZENITH "brand SZ series of patented products, to provide customers with the most professional products and services. Q: can we use our own shipping agent9 A:of couse you could. Q: can you accept OEM service9 A: yes,OEM is acceptable, pls send email to us for more detail. Also you can take fast train to Shijiazhuang railway station. 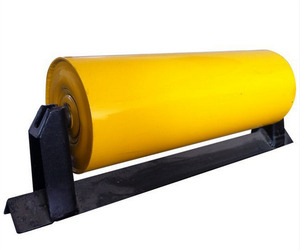 conveyor lower return roller Conveyor Idler Roller idler roller made by UHMWPE,which is a linear polyethylene with a molecular weight more than 3 million. 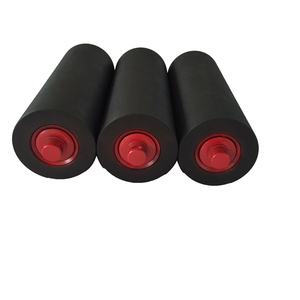 It is an outstanding plastic with the best self lubrication, impact absorbing properties and the highest resistance to abrasion. 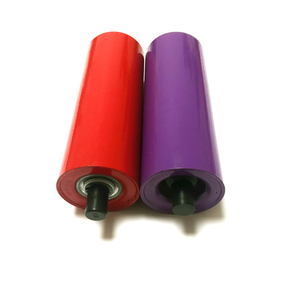 It is powder under the normal temperature while in the higher temperature (300&#8451;) it is in solid state, never flow. How can I get the price9 We usually quote within 24 hours after we get your inquiry. If you are very urgent to get the price, please tell us in your email so that we will regard you inquiry priority. How long is your delivery time9 Generally it is 5-10 days if the goods are in stock. 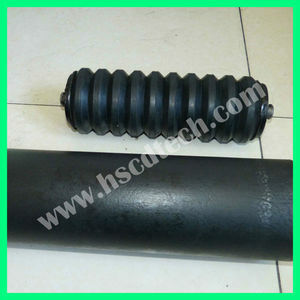 Nylon Return Plastic Roller for Belt Conveyor Carrying the conveyor belt and moving forward with the belt. Company Show W e are dedicated to improving the quality and service the world . S incerely welcome your cooperation and common development hand in hand. 2. 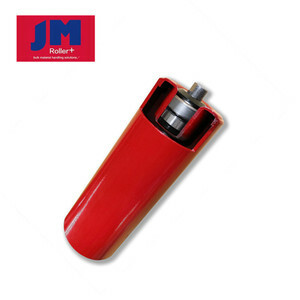 Impact Rollers: Installed at the loading point to absorb the shocks and to help protect against belt damage. ZZ shield deep-groove to ensure a nice fit and off-set any expected temperature rise during operation by means of internal clearance. 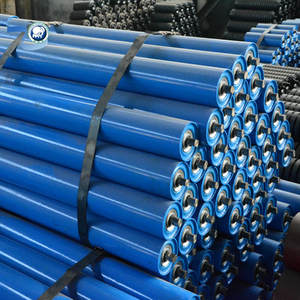 Please tell us the detailed length and diameter of your requirement. conveyor tube ball roller bearing Samples can be ordered in our online store: T Series G series Samples can be ordered in our online store: We welcome customozed track wheels production requests. Hebei Binxin Conveying Machinery Co., Ltd. When the ratio of internal force and external force meets a condition, the material flow is stable. Our products are mainly vibrate machine, such as vibrating screen, vibration motor, belt conveyor, elevator and so on. Our products are mainly vibrate machine, such as vibrating screen, vibration motor, belt conveyor, elevator and so on. 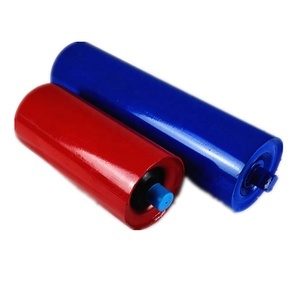 Alibaba.com offers 1,637 idler return products. such as stainless steel, plastic. You can also choose from free samples, paid samples. There are 1,625 idler return suppliers, mainly located in Asia. The top supplying countries are China (Mainland), India, and Vietnam, which supply 98%, 1%, and 1% of idler return respectively. 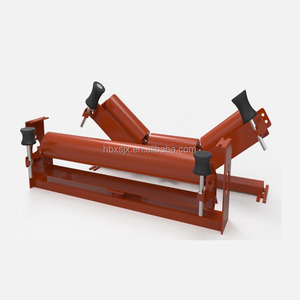 Idler return products are most popular in North America, Mid East, and Southeast Asia. You can ensure product safety by selecting from certified suppliers, including 595 with ISO9001, 406 with Other, and 122 with ISO14001 certification.